The L Spa and Wellness Centre is an official REWARDS SUPPLIER to the AIR MILES Dream Rewards program. AIR MILES COLLECTORS can redeem reward miles to indulge in one of three packages at The L. For full redemption details, including how to obtain your Dream Reward certificates for The L Spa and Wellness Centre, visit airmiles.ca. We recommend you make your relaxation reservation as far in advance as possible. We are open 7 days a week including evenings. Peak times at the spa are Thursday thru to Sunday. 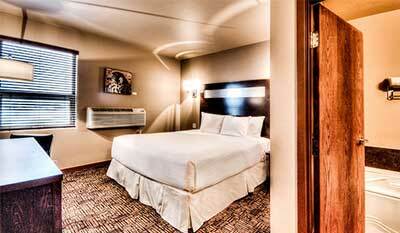 Exclusive Podollan Inn & Spa rates available for L Spa Air Miles guests. Please see offer below. 30 MIN Far Infrared Sauna Session; 75 MIN Deluxe Sole Soothing Pedicure (reg. polish) and 60 MIN L Spa Signature Manicure (reg. polish). 75 MIN Hand Spa (Hybrid Polish or Take Home Polish). Unwind with quiet time together in our couple’s massage room enjoying a relaxation massage. Wake up to herbal tea, chocolate covered strawberries and a new sense of calmness. 60 MIN Wellness Massage; 60 MIN L Spa Facial ; 75 MIN Deluxe Sole Soothing Pedicure (reg. polish); 60 MIN L Spa Signature Manicure (reg. polish); and spa lunch. 90MIN Sole Soothing Pedicure (Hybrid Polish or Take Home Polish). 75 MIN Hand Spa Manicure (Hybrid Polish or Take Home Polish). *Upgrades must be scheduled at time of booking. Package cannot be upgraded at the time of arrival. Upgrades will alter the length of each package. Terms & conditions apply. As an AIRMILES guest we invite you to take advantage of the following accommodation offer. Secure your reservation today by asking a L Spa Reservation Specialist to transfer your call to a Podollan Inn & Spa Front Desk Agent. Enjoy our King Bachelor Rooms, recently opened in the new wing. 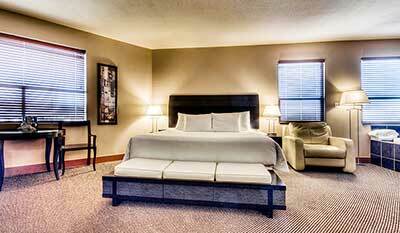 Room features a King size bed with walk in shower and separate soaker tub. Experience our most lavish suite, boasting 700 sq ft of contemporary design with a fireplace, 32 jet jacuzzi tub and a oversized bathroom with walk in shower.